One of the most talked about and contested propositions on California's November ballot is Proposition 10, the so-called "Affordable Housing Act." It goes before voters at a time when rents across California are higher than they have ever been, with almost a third of the state's renters paying more than half of their monthly income on rents. WHAT WOULD PROPOSITION 10 CHANGE? If passed, Proposition 10 would repeal the Costa-Hawkins Rental Housing Act. That would open the door for much wider implementation of rent-stabilization or rent-control policies by cities, something that has been very restricted since the act passed more than two decades ago. But there would be limits on the limits. Prop 10 also specifies that cities not pass any policy that would infringe on "a landlord's right to a fair rate of return on a property." OK, SO WHAT IS THE COSTA-HAWKINS RENTAL HOUSING ACT? Costa-Hawkins is a three-part law that sets strict limits on a local jurisdiction's legal authority to regulate the rental housing market. The bill was passed by a Democratic state legislature in 1995 and signed into law by Republican Governor Pete Wilson. The provisions of the bill most relevant today prohibit any city from regulating the rental market in apartment buildings built after 1995, as well as all single-family homes and condominiums statewide. The act also bars any city that had rent regulation rules on the books in 1995 from expanding them further. 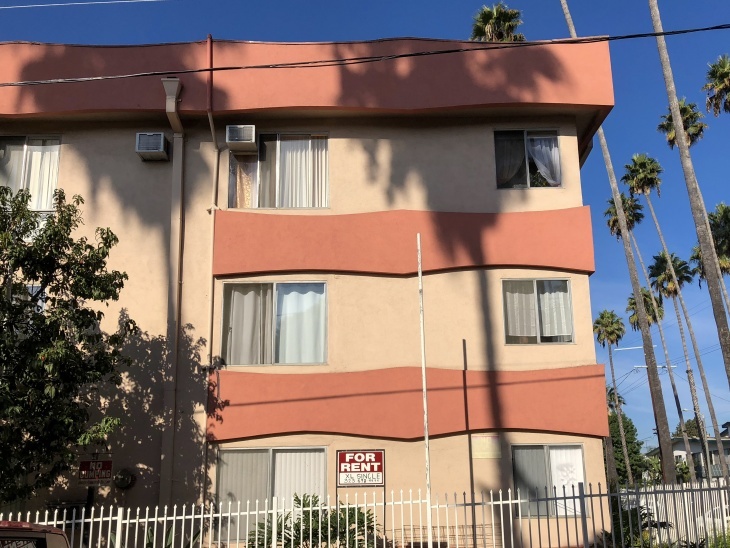 Los Angeles, for example, passed a citywide Rent Stabilization Ordinance in 1978, but Costa-Hawkins prohibits Los Angeles from changing its rules to include even apartment buildings built up to 1995. Other Southern California cities with existing rent regulation include West Hollywood, Santa Monica, Beverly Hills, Thousand Oaks, and Palm Springs. Costa-Hawkins also explicitly prohibits what's called "vacancy control," a strict form of rent regulation that limits the amount a landlord can raise rent for any particular unit when leasing to a new tenant. When Costa-Hawkins was passed, only two cities in California — Berkeley and Santa Monica — had a form of vacancy control on the books. SO, PASSING PROP 10 WOULDN'T BRING RENT CONTROL EVERYWHERE OVERNIGHT? Correct. A repeal of Costa-Hawkins won't change anything overnight for the vast majority of California's residents. If Prop 10 were to pass, it opens the door for future rent-stabilization or rent-control rules passed on a local, municipal level. Exactly what kind of rental regulations local jurisdictions would seek to pass — or, if they would even pass new rules at all — is anybody's guess. But, keep in mind that those rules don't come from Proposition 10. Proposition 10 is about whether or not local jurisdictions should be able to make those rules in the first place. UPDATE Oct. 11: One key area that would change overnight? In cities that had rules on the books when Costa-Hawkins passed, its repeal would immediately put single family residences and condos under rent control guidelines. See below for a list of affected cities, according to a leading Prop. 10 opposition group. WHY DO PEOPLE SUPPORT PROP 10? Renters in California — especially in Southern California — are extremely burdened by housing costs. Approximately one-third of all the renting households in Los Angeles and Orange Counties pay more than half of their income on housing, according to Harvard's Joint Center For Housing Studies. In Los Angeles County, about 600,000 people — 6 percent of the county's population — live in households where 90 percent of all income goes to housing, according to the Economic Round Table. Bear in mind that the traditional rule-of-thumb is that housing is "unaffordable" if it eats up more than 30 percent of a household's income. When people spend so much of their income on housing alone, it means that money isn't getting spent elsewhere in the economy. It also means people are at a high risk of becoming homeless, which is exactly why more people than ever before are becoming homeless for the first time. Approximately two-thirds of the people currently experiencing homelessness in Los Angeles County are homeless for economic reasons, according to the Los Angeles Homeless Services Authority. "Economic reasons" in this context could mean a person barely scraping by at the end of the month loses a source of income and isn't able to make a monthly housing payment. The argument from the Yes on 10 campaign follows that if rental rates are regulated, tenants will be at least slightly more secure in their homes because landlords can't raise the rent beyond a predetermined amount. It would eliminate renter horror stories where landlords opt to raise rents by hundreds of dollars at a time, amounting to a de-facto eviction for tenants hit with the increase. If Prop 10 passed, it would also allow for these policies in all rental units, including single family homes. And rent control policies have been shown to minimize displacement in wild housing markets, as a Stanford study of San Francisco's rent control policies found last year: "We find that absent rent control essentially all of those incentivized to stay in their apartments would have otherwise moved out of San Francisco." WHY ARE PEOPLE AGAINST PROP 10? Well, capitalism is one reason. Limiting how much rent can be raised — despite what the market might bear — takes money out of the hands of the landlord, which is an argument made by the California Apartment Association. Another argument with wider appeal is this: rental regulations would slow the construction of new housing units in California. The state's housing crisis is fueled by a shortage of at least 2 million units statewide, and the only way to address the root issue is by building more homes. Any measure that potentially limits how much rent can be charged may also make building those new units less appealing to developers and investors. Economists generally argue that rent control rules on new buildings discourages new construction because developers opt to build in jurisdictions where their profit margins aren't limited by public policy. That ambiguity over how local jurisdictions might regulate the rental market, and the potential for it to limit the profit margins of existing landlords, is probably why the state's landlord and real-estate lobby has channeled $47 million to the 'No on 10' campaign. If Prop 10 were to pass, it's very possible property owners would have to head off rent regulation proposals in lots of different cities around the state at once. From the landlord's side, it's preferable to prevent any new rules from getting proposed in the first place, which is effectively what the Costa-Hawkins Act has done for 23 years. SO WHAT SHOULD I DO, LAIST? I'M MORE CONFUSED NOW THAN WHEN I STARTED READING?! Build an enormous amount of new homes — at least 2 million more units are needed today — to make up for about 40 years of constrained production. Address a crisis of homelessness that has at least 100,000 Californians living without permanent shelter. Stem more people being driven into homelessness or leaving the state because so much of their income has to go to housing costs. The extent to which those goals are mutually exclusive is a point of fierce debate among academics and housing policy wonks. Part of the issue? The gap between how much money people at the high end of the rental market earn versus people at the low end. And just adding units on the high end isn't enough. Harvard University earlier this year reported that "although adding new supply at the upper end should, in theory, cause older housing to filter down the rent scale, this process has not produced an adequate supply of rentals at the low end." Steven Maviglio, a spokesman for Californians for Responsible Housing, a main Prop. 10 opposition group, sent an email Oct.11 noting that there were locations that would be immediately affected by the repeal of Costa-Hawkins. Get ready for the Nov. 6 election. Here at LAist, we want to make sure Angelenos have all the information they need to cast their votes. To get prepped on deadlines, candidates and ballot measures, check out our Voter Game Plan. And if you liked this election guide, consider supporting us! You can donate here.